More industry woes this week as Defiance 2050 and Trove developer Trion Worlds has been acquired by free-to-play publishing house Gamigo. Reportedly 150 employees have been let go as a result of the transition. A very small hotfix was recently deployed for Trion Worlds' free-to-play title Defiance 2050. With the hotfix comes a few improvements and fixes. Read on to see what's changed. The Demolitionist class is a Premium class that will cost players more money than the four base classes, and Trion Worlds took to their latest stream to detail his abilities before showing off the class in action. Trion Worlds has confirmed a July launch date for free-to-play sci-fi shooter Defiance 2050, and released details of Founder's Packs contents and special rewards for players of the original Defiance. In the stream, the developers show off the four new classes: Assassin, Guardian, Combat Medic, and Assault. You can get a feel for the talents available as well as see the classes in action to help you decide what you like. The latest trailer for the game talks players through the four base classes from which players can choose at the beginning of the game. There are changes to the way that players can enhance their Ark Hunter characters, as well as an altered tutorial system and user interface, and all of these topics were covered in the latest developer stream. In the livestream video, Trion Worlds explores Defiance 2050's world along with other players as they talk a ton about the games many different features and factors. Check it out and learn plenty on what's included in the game. 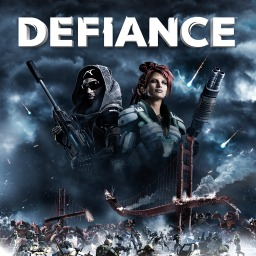 The first Defiance game with trophies was Defiance, which was developed by Trion Worlds, published by Trion Network and released on 02 April 2013. 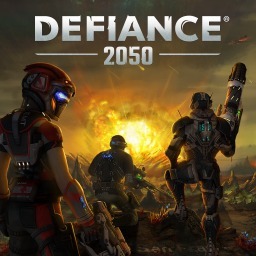 Since then there has been 1 more game in the series with trophies - Defiance 2050 which was developed and published by Trion Worlds and released on 10 July 2018.